dolceacqua. Northern Italy. 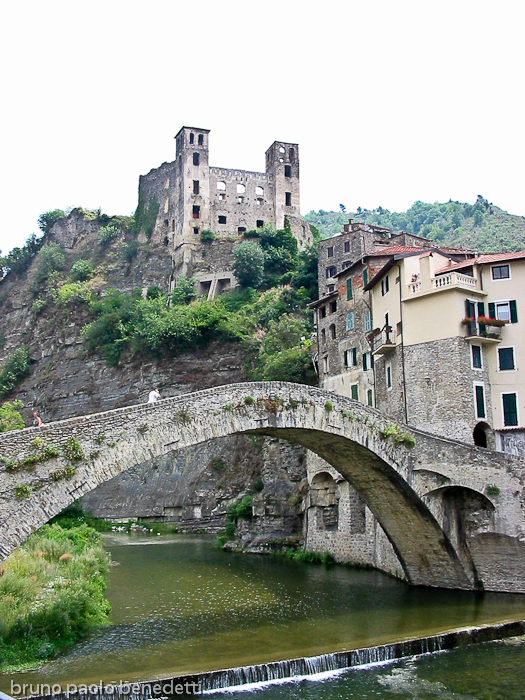 Liguria region.Famous nedieval bridge rebuild in XV century on ruins of medieval bridge. View of river,castle and houses. Picture from below.